Being a Waltham wedding photographers is an awesome thing as you get to work at the Lyman Estate. The scene featured in this photograph is the bride and her groom with the bridesmaids. 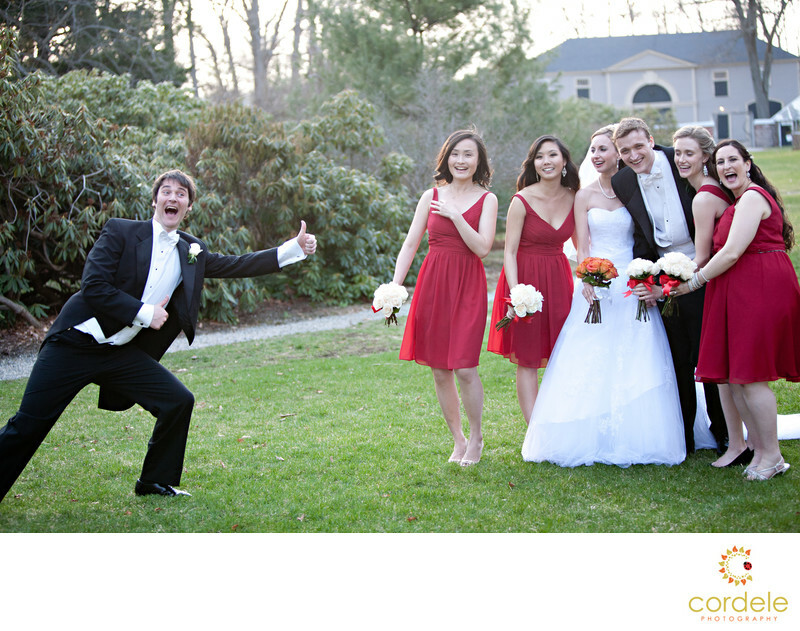 There is a groomsmen who was trying to photo bomb the photo. The photo was taken on the grounds of the estate after the ceremony. THe Lyman Estate is near Bentley College on 37 acres of lush green grass and a beautiful greenhouse! The home was built circa 1793 and was home to Theadore Lyman. Its considered a Federal style home and makes the perfect setting for parties. This home brings people back to the gatsby era of America. I have so many wonderful locations for photos during a wedding at the Lyman Estate.